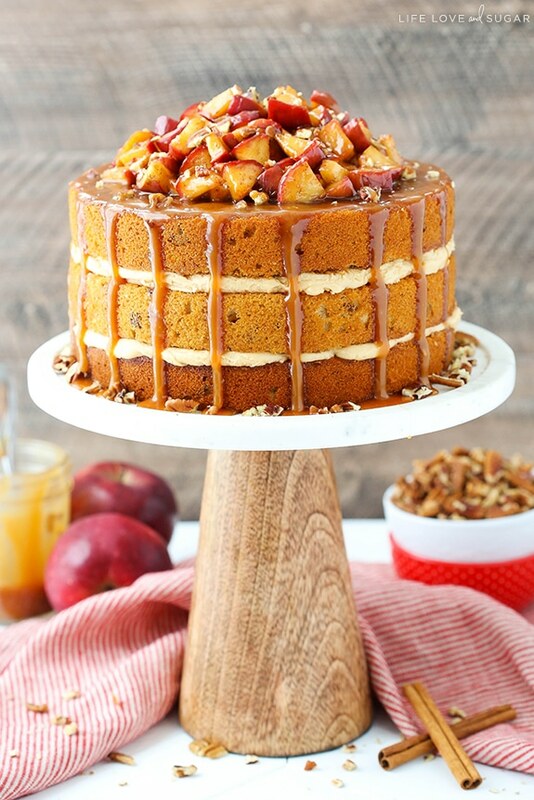 Caramel Apple Pecan Layer Cake has layers of moist apple spice cake sprinkled with pecans, caramel frosting, cinnamon apples and more caramel drizzled over top! 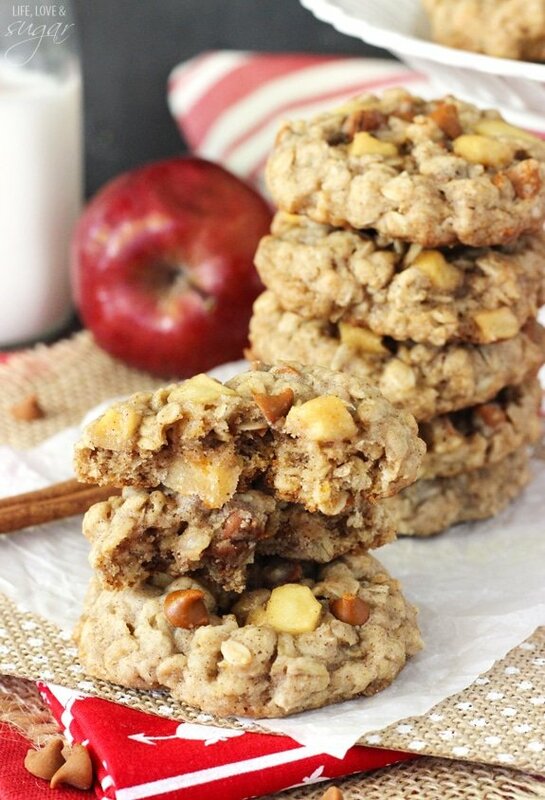 It’s full of Fall flavors and is the perfect way to kick off apple season! So although I say that the hubs and I live in Atlanta, GA, the truth is we live a little north of the city. It’s an area most people haven’t heard of though, so Atlanta just makes more sense to say. But being a bit further north, we are a stone’s through away from the Georgia mountains. Within about an hour, we can get to some fun hiking and waterfalls, a few wineries and in the fall – lots of apple picking farms! There are tons of them around where you can go and pick your own apples – they even serve apple cider to sip on. 🙂 We are officially entering apple season with some places beginning to allow apple picking starting this week. Can you believe it’s that time of year already? So to kick it off, I’m sharing this cake with so many of my fall favorites in it. Apples, spices, pecans and caramel. There are few things I love more than caramel and I use my favorite caramel sauce over and over in recipes. I even recently added a video to show you just what each step of the process looks like, if you want to go check that out. First of all, the cake layers. The cake starts with the traditional creaming method – and you want to be sure to not skimp on the creaming. It adds air to the batter than helps give the cake layers their fluffiness. I used a mix of apple butter, cinnamon, nutmeg and allspice to give the layers their flavor and it’s perfection! The apple butter adds great apple flavor and the spices give it extra love! The sour cream adds moisture that can’t be replaced – it’s the best. And there are some chopped pecans mixed in at the end that add a little crunch. Of course if you aren’t a pecan fan, you can leave them out. While the cakes are baking, you could make the caramel sauce. I’ve got the instructions included below, but it’s the same as this recipe so if you’d like to check out the video to make sure you’re doing it right, that’s the place to go. 🙂 The biggest thing to remember is to have your butter and heavy cream at room temperature – or even warmer. If they are too cool, it can cause the caramel to seize. When the caramel sauce is made, set aside about 3/4 cup for putting over the top of the cake at the end. The remaining caramel will be used to make the caramel frosting. An important thing to remember when making the caramel frosting is that the temperature of your caramel sauce matters. If you make the frosting while the caramel is still warm, it’ll be a little softer and firm up as the frosting cools (so don’t make it too stiff when warm, or it’ll really be firm when it’s cooled). If you wait until it’s cooled, the frosting will be thicker to start. I usually just make the frosting when it’s warm since the caramel incorporates nicely, then let it cool. If it ends up a bit thick, you can always add a little more water or milk to thin it out. Once the cake layers and caramel frosting are ready, it’s time to layer them together. You want to be sure to remove the cake domes. There’s nothing worse than stacking a beautiful, tall cake and then having it split down the middle because of a dome in the center. I like to use my offset spatula for adding the frosting so that I have good control and then spread from the center out to the edges so I can push the frosting just up to the edge of the cake. I made a video of the process of putting the cake together, so be sure to check that out below for some extra guidance. Once everything is stacked, it’s time to make the apples. I stacked my cake the night before and made the apples right before serving the cake so they were fresh and the caramel on top was freshly added (which is why the background of the video changes a bit). The apples are cooked right on the stove and should only take about 15 minutes to cook. 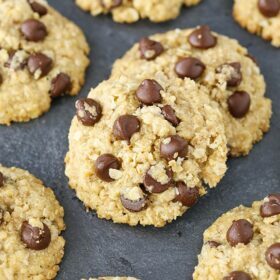 They are mixed with some butter, brown sugar and spices and are super tasty! 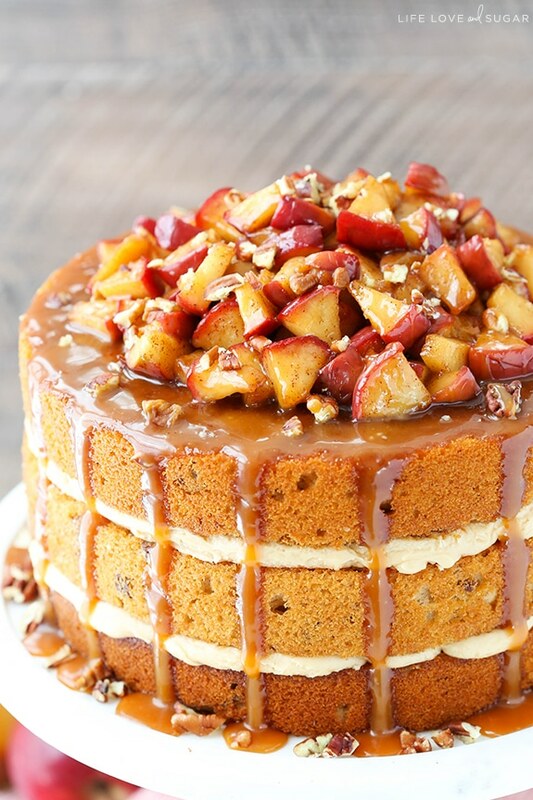 Pile those apples right on top of the cake, then use a spoon to drizzle the caramel down the sides. I used my offset spatula to finish spreading and adding caramel around the top edge of the cake, then finished it off with a little more caramel drizzle and some chopped pecans. 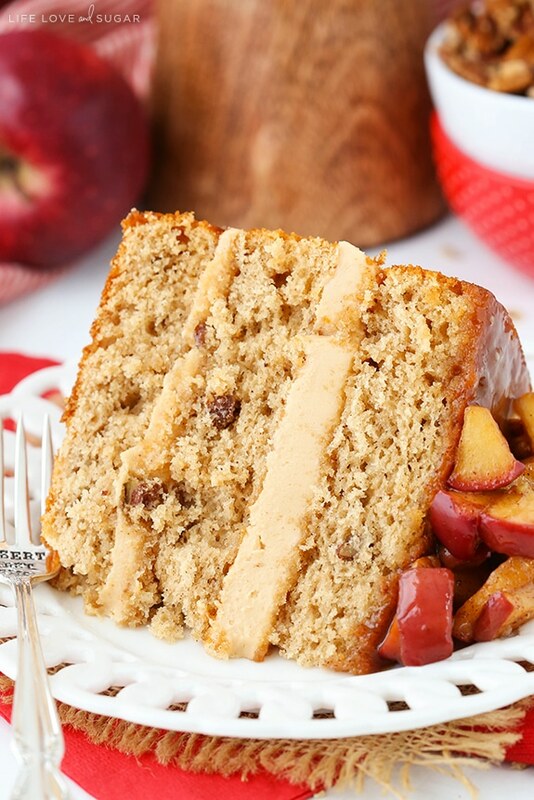 Imagine a big bite of moist apple spice cake with pecans, caramel frosting, warm cinnamon apples and more caramel sauce. Is your mouth watering yet? It totally should be because this cake is SO GOOD! I hope you love it as much as we did! 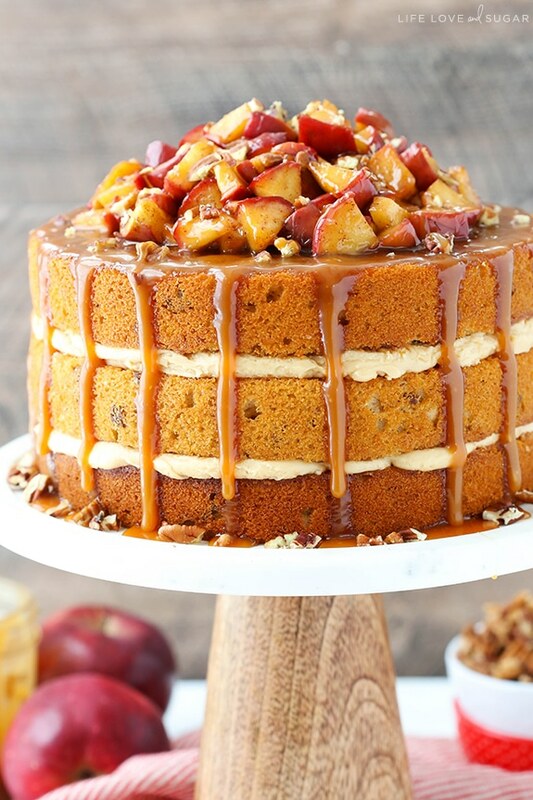 Caramel Apple Pecan Layer Cake has layers of moist apple spice cake sprinkled with pecans, caramel frosting, cinnamon apples & more caramel drizzled over top! 5. Combine dry ingredients in a separate bowl, then combine the apple butter and milk in a small measuring cup. 6. Add half of the dry ingredients to the batter and mix until well combined. Add the apple butter mixture and mix until well combined. Add remaining dry ingredients and mix until well combined. Scrape down the sides of the bowl as needed to be sure all ingredients are well incorporated. Stir in the pecans. 7. Divide the batter evenly between the cakes pans and bake for about 22-24 minutes, or until a toothpick comes out with a few crumbs. 9. Pour sugar into an even layer in a large saucepan. 10. Heat on medium-high heat, whisking the sugar until melted. The sugar will clump up first, but will eventually completely melt. This will take about 10 minutes. 11. Once the sugar has melted, stop whisking and allow to cook until the sugar has turned to a little darker amber color. You may notice a nutty aroma. The change in color will happen quickly, so don’t let it go too long or get too dark or it’ll burn. Remove caramel from the heat. 12. Add butter and whisk until combined. The mixture will bubble up, but keep whisking until all the butter has melted and combined. 13. Slowly pour the heavy cream into the caramel and whisk until incorporated. 14. Cool at least 10-15 minutes before using. See notes in above post about frosting and caramel consistency. 15. Set aside about 3/4 cup of caramel sauce for using on top of the cake later. Transfer remaining caramel sauce (about 1 1/4 cups) to a mixing bowl. 16. Slowly add powdered sugar and milk and mix until smooth. You can add more or less milk to get the right consistency for the icing. 17. When the cakes are cool, remove the domes of the cakes with a large serrated knife so they are flat. 18. Place the first layer of cake on cake stand. Top with 1/2 of the caramel frosting and spread into an even layer. 19. Add second layer of cake and add remaining caramel frosting. Spread frosting into an even layer. 20. Top cake with the remaining cake layer. 21. To make the cinnamon apples, add everything to a large pan, toss together, and cook over medium heat until apples are tender. 22. Pile apples onto the top of the cake. 23. Use a spoon to drizzle the remaining caramel sauce down the sides of the cake. If the caramel sauce has cooled too much, warm it up in the microwave a bit. 24. 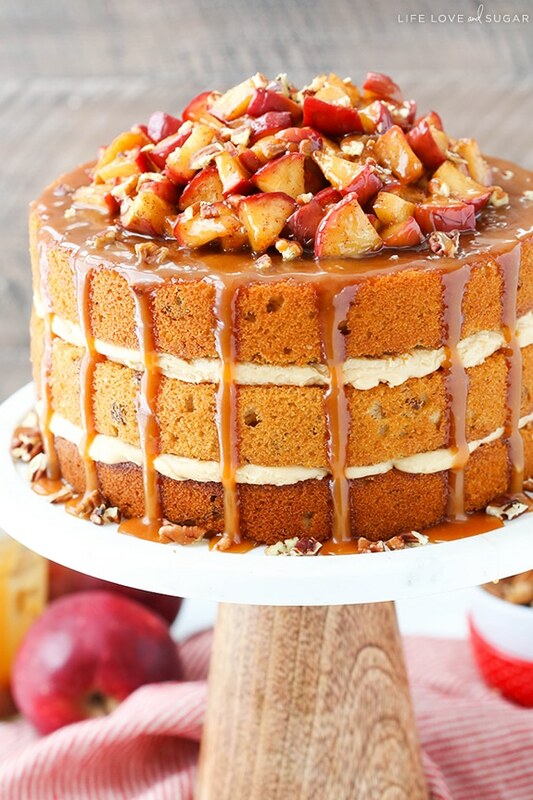 Use the end of an offset spatula to spread additional caramel around the top edge of the cake, then drizzle a little more caramel sauce over the apples. 25. Finish off the cake with a sprinkle of chopped pecans. 26. 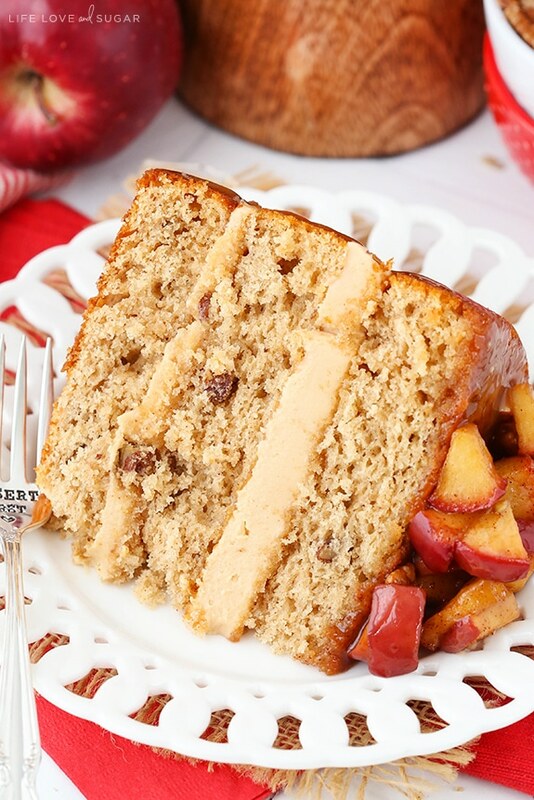 Cake is best served when apples are fresh, but can be refrigerated until ready to serve if needed. This looks insaaaaaane, I’ll have to try this soon! This cake has made me forget all about Summer in a second, bring on Autumn flavours! Hi Lindsay, Looks AAAAA-mazing, as usual! :o) I’d love to try this for a special fall ocassion. Thanks for the great recipe, instructions, and photos! What a gorgeous fall cake Lindsay! How fun that you guys live close mountains and other cool stuff to do. That’s kind of how Sacramento is too. The city itself is ok, but the fact that it’s so close to TONS of fun things to do (coast, mountains, etc.) is what’s so great about it. I can’t wait til apple season this fall! You are getting me excited! 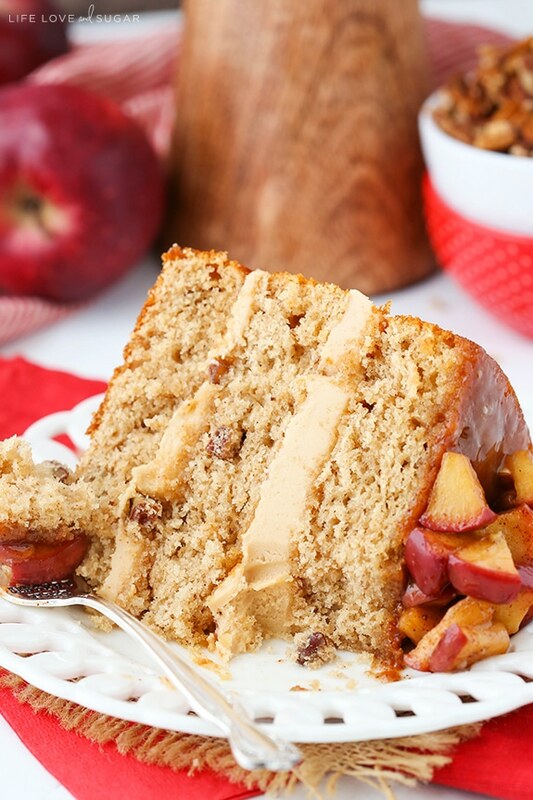 this cake sounds like the perfect way to bring in fall, and i love that there’s apple butter in the cake and cinnamon apples in the filling for maximum apple flavor! It’s almost apple picking time in Maine, and your cake is going to the top of the list for things to make. I can’t wait! The ingredients list milk but the directions state to mix apple butter with water. Does the recipe use milk or water? It uses milk. The recipe has been updated – thank you! 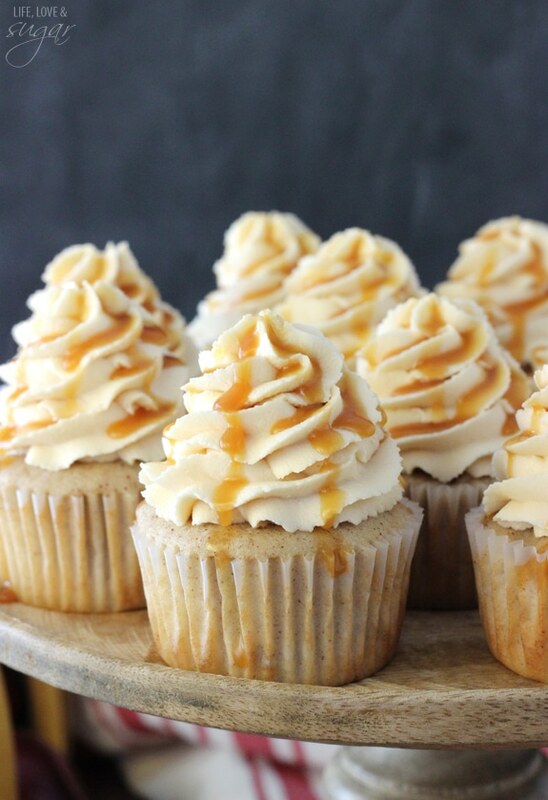 That caramel frosting is just CALLING to me. Seriously. I can taste it from here! Sounds like you live in a great area with ideal apple season conditions! I can’t wait for all the fresh apples! Lindsay, that’s a beauty! I’d make that just to look at even if it didn’t taste good, which I know it does! Look at all those lovely layers of cake and mousse!! Wish I was the one digging into to it! I can’t wait to make this. It looks WONDERFUL! I think I would be tempted to make one batch of the cinnamon apples with the apples diced very small and put them between the layers. Hi Lindsay, your cakes look so wonderful! 1. is there a rule of thumb for ‘downsizing’ the cakes recipes (for both the layers and frosting) on your website ? for eg instead of 3 layers of 9 or 8 inch cakes, I would like to have 2 layers or 3 layers of 6 inch. I know it probably wouldn’t look as impressive but there is only so much cake one can eat. 2. How well will this cake and other buttercream cakes keep on countertop (21’C average temp)? Thanks so much ! Can’t wait to give it a try. 1. It’s hard to say exactly. Two vs three layers makes a difference in the thickness of layers and can vary baking times. Also, if you are making 6 inch cakes, you might not use all the batter. If you are using less batter, you have thinner cakes, and that changes the baking time. So it’s hard for me to tell you exactly what to do for smaller cakes. I generally start around 18-20 minutes baking time for most things, but with cakes that small, if the layers are thinner you might need less. You’d be best to test it. 2. That also depends a little bit. This cake is better off refrigerated because of the apples. It could probably sit out for several hours and be ok, but if storing overnight or something I’d refrigerate it. Any substitute for apple butter? Hmmm, applesauce might work. It’s got more liquid than apple butter so if you try it and it’s not quite right, you could use a little less milk to offset the liquid. The other option would be to cook down the applesauce a bit so that there’s less liquid. If none of that sounds like a good option to you, you could leave the apple butter out and use additional milk in it’s place. 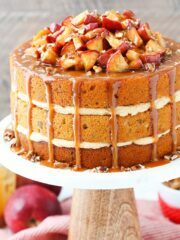 The cake would have less apple flavor, but you could add some additional cooked cinnamon apples between the cake layers instead. I was also curious about the apple butter. Some searching on the internet was very helpful! I love everything there is to love in this cake!! Such a beauty and so perfect for this time of year. I am making this for a huge family gathering Sunday. Thank you for such a beautiful recipe. Yum!!!! I cannot wait to try this for Thanksgiving !! I’m seriously missing some Blue Ridge & Mercier Orchards. We are about 3 1/2 hours South & boy would I give anything for some of those apples & apple butter right now! This may just have to be my fix — of course, it won’t be the same, but I’ll deal ???? What kind of apples would you recommend using? I typically use Red Delicious – I like their crunch – but feel free to use the one you prefer. oh and it looks like I’ll have to make my own apple butter. Is the apple butter used in this recipe sweetened? Yes, it’s sweetened and has a touch of cinnamon in it, I believe. Do you whip the egg whites before adding? This cake looks amazing and I can hardly wait to make it. I was wondering though if I could use 3 large eggs instead of 6 large egg whites? Or would this mess up the cake too much? It’s just that I don’t really have a use for 6 egg yolks by themselves. Thanks. I understand the egg dilemma but I definitely recommend using the egg whites. It doesn’t usually turn out with the full eggs. I’m a little l late to the game but I’m finally getting around to making this recipe! I have a caramel sauce already made, my own, how much goes into the frosting? Hello Lindsey, cake looking amazing!!! Thanks for recipe. I have one question i’ve made caramel frosting but it’s became very soft how can i make it thicker? And also when i’m tasting i can feel powder sugar. It should be like this? I have printed your post on frosting consistency I will have to continue working on my skills with frosting. I will keep this recipe in my cake box . Sooo, you live north of Atlanta? So do we! We are bout an hour from Blue Ridge and about 30 minutes from Ellijay. I guess those are the apple places you have visited. You ever heard of Canton,GA or Ball Ground? Should this cake be refrigerated? I’m super excited to try making this! That’d probably be best if it’s going to sit for a while, especially with the apples on top. If you make the rest of the cake and only add the apples later, it would probably be fine at room temperature. I have a question about the frosting. So the frosting is powdered sugar, milk and caramel sauce, so no extra butter? 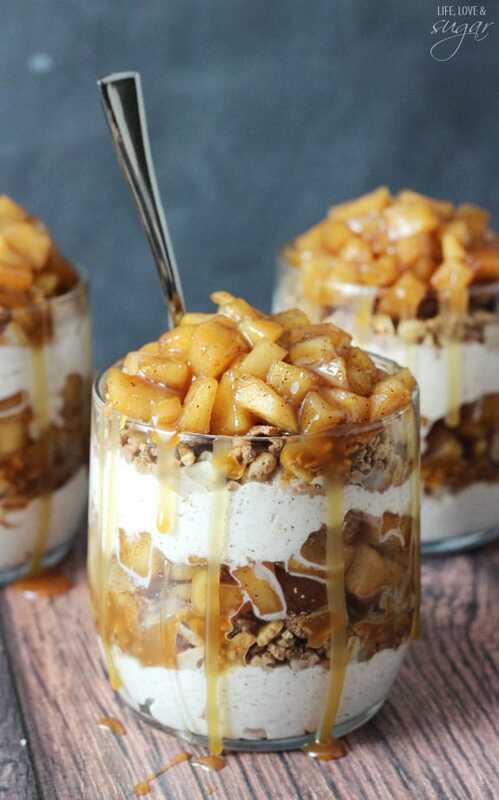 Is it possible to reduce the powdered sugar, since the caramel sauce is already rather sweet or is this necessary for the consistency and the light colour? Hope to hear from you soon, I want to make it tomorrow. Thank you!! The powdered sugar is necessary for the right consistency. You can try reducing it a little and then adding more if needed to get the right consistency. Hi! Really excited to try this recipe! QUESTION: Can this be made with GF flour or do you think it would significantly alter the taste/texture? This cake is exactly what I hoped it would be. 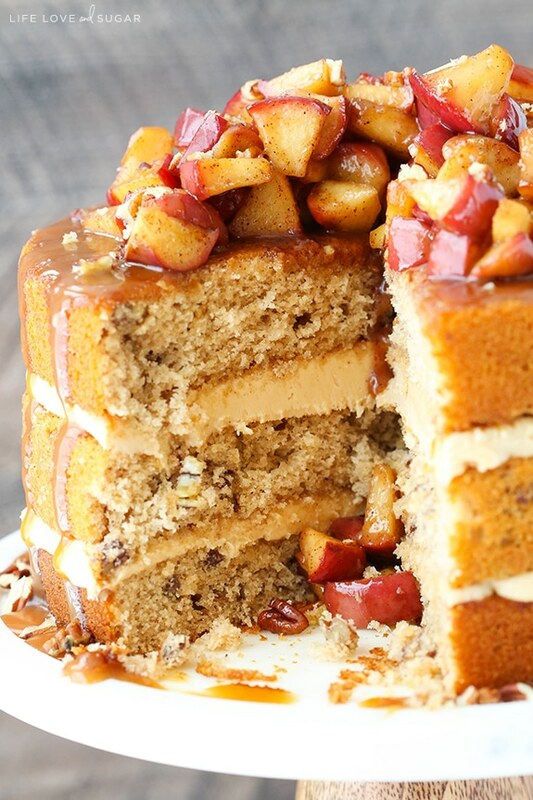 The apple butter in the cake and apple topping really make this cake. I took it into the office, and it was gone before lunch. Delicious! 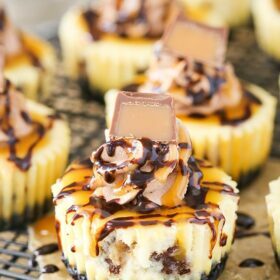 Can you use purchased caramel sauce instead of home made? That should be fine, but keep in mind that the consistency of the caramel sauce might be different so you might need to make adjustments to the frosting.